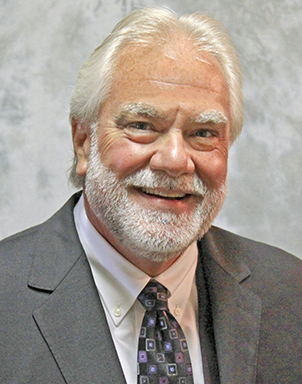 MARK E. FERGUSON commenced the practice of law in 1981 after graduating from Drake University College of Law, Des Moines, Iowa, in 1980 and being admitted to the Illinois Bar. After working 10 years for a Central Illinois law firm, Mr. Ferguson established Mark E. Ferguson, Ltd. His law office has been located at 712 Broadway, Mattoon, Illinois, since it was opened August 1, 1991. Mr. Ferguson's areas of concentration are worker's compensation, family law including divorce and custody, criminal defense and personal injury. He is also a certified mediator. Mr. Ferguson has had significant trial experience with bench trials and jury trials, both civil and criminal cases. His practice has taken him throughout the State of Illinois. His memberships include the Illinois State Bar Association and the Coles-Cumberland Bar Association for which he served as president 2004-2005. He currently serves as chairman of the Coles-Cumberland Scholarship Committee. A Springfield, Illinois, native he has resided in Coles County Illinois since 1980. He is a graduate of Griffin High School, Springfield, Illinois, and Eastern Illinois University, Charleston, Illinois.